In Part One I wrote about the threat facing the British Army from within, namely the 5% of the Warrant Officers’ and Sergeants’ Mess who are managing to carve out a career whilst performing to a standard that undermines unit cohesion. This time I am switching fire to some depth targets, in particular some heavily fortified positions located in the various Officers’ Messes across the British Army. I’ll start with another anecdote that may go some way to setting the scene and establishing an element of context to my views on the matter. The year is 2014; having just had my promotion to Major confirmed, I was invited to the Army Personnel Centre for a ‘Formal Career Review’ (FCR) by my desk officer. I travelled to Glasgow, along with the rest of my peers who had successfully promoted, to have a number of career briefs followed by an interview. After the mandatory briefs, the desk officer had arranged for the assembled senior Captains to rotate through her office for the personal interviews. “I’ve gone in alphabetical order for the running list for interviews. If there are any individuals who, for whatever reason, need to get away early, please let me know now,” said the desk officer. What followed was not too dissimilar to the England scrum last weekend in the 6 Nations, as 20 or so captains from across the Royal Regiment proceeded to dive on the desk officer in order to communicate the vital reason why they had to be away early. “I’ve booked my flight for 1500”, said one Captain. “Me too, I need to be back for a dinner night”, said another, the fear in his eyes palpable as he contemplated extras from the Adjutant for not making it back in time. After about 10 minutes, the revised interview list was finalised. I had gone from second to be interviewed, to last. “You don’t mind do you Steve? Only, you’ve got the shortest journey back to your Regiment?” Indeed I did have the shortest journey, only I had driven up from the North East of England, a distance of 170 miles. As I spent the rest of the day enjoying the delights of Glasgow city centre, whilst my peers filed through the APC for their interviews, I was struck by the earlier episode with the desk officer, and how it reflected on the individuals present. I didn’t see much respect for others on display that day, with the future sub-unit commanders of my Regiment, fighting like school children as they sought to justify how their early departure was more deserving than that of anyone else. The bitter taste left by the experience at least served to keep me awake, as I drove away from the APC at just after 2200 that night, arriving home in the early hours. This is one small incident – not illustrative of officers in the British Army, merely one occasion (away from soldiers) where some officers have acted primarily to serve their own personal agendas before considering the needs of their colleagues. And you’d be right; this is only one isolated example from nearly 4 years ago. It does, however, cut to the heart of the problem, namely that some officers serve only themselves and their own interests to the detriment of the team. If some officers are willing to act like this with their peers, what chance do we have of ensuring that our soldiers are led by only the very best officers who live by the motto that adorns their cap badge for 44 weeks at the Royal Military Academy Sandhurst? Along with the Warrant Officers and Senior NCOs, our officers set the conditions for the Army’s culture. Our soldiers look to officers for example, for inspiration and direction when the friction of daily Regimental life and operational deployments makes the path to success uncertain. Increasingly, this example and inspirational leadership is absent, with some officers choosing to cherry pick aspects of their obligations that were given to them as they marched up the steps of Old College at the end of their Commissioning Parade. In the same way that there are a minority of Warrant Officers and Sergeants undermining the Army’s operational effectiveness, there is a hard-core element of officers who are content to operate outside of the highest of standards, standards that should be second nature to all who hold the Queen’s commission and are charged with leading our fine soldiers. But necessity is the mother of invention and what follows are some practical, if contentious steps, that could be taken in order to address the issue. The first depth target for consideration is the Officers’ Mess. 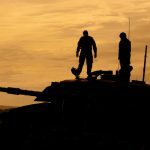 The British Army has taken great strides in recent years to rid it of the (historically well earned) reputation for being an organisation that condones heavy drinking. Not only is there a clear link between alcohol and disciplinary issues, but the health implications and the effect on the Army’s operational effectiveness are now well known and understood across all ranks. 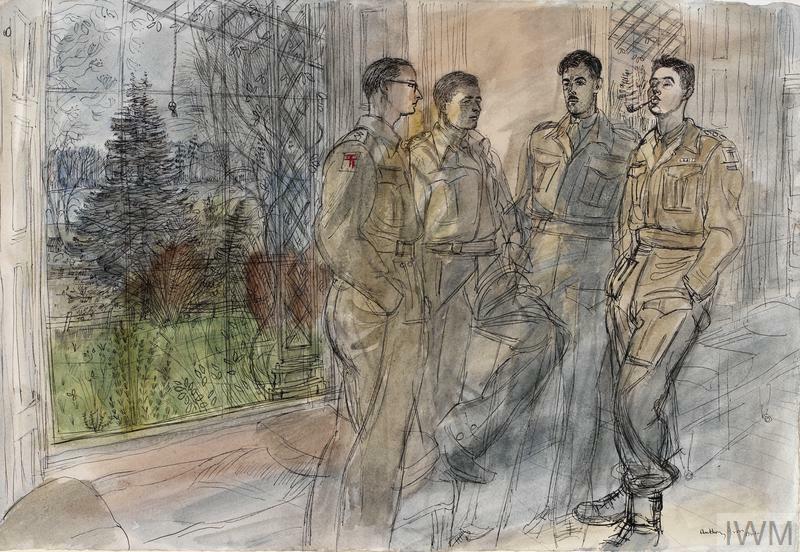 In a recent focus group, held by a certain Brigade, the overriding view amongst soldiers was that the Officers’ Mess condoned and indeed encouraged drinking to excess. So the junior element of a Brigade believed that the leaders encourage heavily drinking through their actions. This is not to say that officers should not be able to enjoy an alcoholic drink, or that the majority cannot be trusted to drink responsibly. But this minority of individuals have a disproportionate effect – through their behaviour – on the fighting power of a unit. And yet we wonder why some soldiers get into trouble, under the influence of alcohol. There seems to be an institutional reluctance to accept what is staring us all directly in the face, namely, that the culture we set as officers has the most severe of second and third order effects on the standards lived by our own soldiers. Even in 2018, there is still a ‘badge of honour’ for the young subaltern who can drink themselves into a state of unconsciousness and nonetheless manage to parade for work the next day, stinking of alcohol as they brief their Troops or Platoons. More worryingly is that a minority of more senior Regimental officers seem almost proud of their young charges and their capacity to endure the most vicious of hangovers. Aside from the health and safety implications associated with such behaviour, don’t our soldiers deserve better than this? Leadership, first and foremost, is surely about personal example – living the values and standards that sit at the very core of who we are as professional service personnel in the 21st century. Yet the issue of alcohol consumption is just one problem with the Mess. The other more pressing threat to unit cohesion, and operational effectiveness, goes to the heart of the officer – soldier relationship. On every operational deployment, I have always eaten with the soldiers that I have had the privilege to lead at that particular time. I would always allow my soldiers to file through the hot plate first – why? Because as we all know, leaders eat last. As a leader of soldiers my duty to their well-being means that this unwritten rule, practiced widely across the Army for many years, is as commonplace today as it was a hundred years ago. Yet in barracks, not only do officers not eat last, but they also do so in a completely different environment, with a different menu to the soldiers. The argument most commonly regurgitated in support of this segregation is that soldiers need their own space. Having officers (and Senior NCOs) sat in the same cookhouse would prevent the soldiers from being able to relax and enjoy their lunch, free from the prying eyes of the chain of command, apparently eager to pick them up for eating with their mouths open or using incorrect cutlery. I don’t believe this to be the case. It screams to the soldiers that the officers have higher standards and so need a different dining experience, one that occurs in an isolated environment away for the rabble in the cookhouse. You need only to look across the world, to other Armies, to see that the all ranks cookhouse is the norm, and that we are woefully out of touch in this respect. As contentious as it is, I would close the Officers’ Messes tomorrow and allow the Army to reap the benefits that this would have on unit ethos and culture. So having gone to Fire for Effect on the Mess, my focus now shifts to appraisals. Officers, routinely, are over reported on. Whilst this is an issue across the rank ranges, the culture of grade, performance and potential inflation on officer annual appraisals is particularly damaging to the Army, as these individuals have the capacity, by virtue of the leadership and command positions that they invariable hold, to do such severe damage to a unit. This has created an environment for mediocrity to prosper. Below average officers, devoid of professional competence, rarely deviate from a B grade. Delivering a B- or C grade is virtually unheard of, and strays into the realms of service complaint territory. This has resulted in a minority of officers who are lacking in work ethic, values and standards and professional competency realising that other than a major disciplinary incident, their employment remains secure for the foreseeable future. The solution lies in an institutional ‘reset’, which must start with an acknowledgement that as an Army we have over graded our officers for too long. This has made it difficult to weed out the incompetent, and equally to reward the brightest and best. In concert with the requirement to accurately report on our officers, there must be a fresh look at the various commissions. A young officer entering service now has guaranteed employment for 12 years. It is unclear, notwithstanding officer recruitment and retention issues, as to why the Army should hamstring itself and prevent it from drawing an officer’s career to an appropriate close should they turn out to be less than efficient during the 2Lt to Captain progression. Furthermore, the allocation of Intermediate (20 years guaranteed employment) and Regular (35 years or until 55 years of age) commissions is such that the Army has a growing cohort of officers with long term security of employment, with little to no incentive to strive for excellence in their work.